With the release of sectional seedings Sunday afternoon, area boys’ basketball teams prepare for the upcoming postseason beginning next Monday. PORTSMOUTH – On Sunday afternoon, the official seedings were released for Division III and Division IV sectional boys basketball matchups for the Southeast District. Wheelersburg earned one of two number one seeds in Division III by entering the final week of regular season play with a perfect 20-0 record. The Pirates will begin postseason play by facing the winner of South Point and Meigs on Friday February 22nd at Jackson High School at 6:00 p.m. The next highest seed in Division III from Scioto County is the eighth seeded Portsmouth Trojans. The Trojans will face off against ninth seeded Portsmouth West in their sectional semifinal game on Monday February 18th at 6:15 p.m. The winner of their sectional semifinal game will face #1 seed Adena on Friday February 22nd. Tenth seeded Valley will open post season play with a sectional semifinal matchup against Paint Valley on Monday February 18th at 8:00 p.m. The winner of the matchup between Valley and Paint Valley will face Eastern Brown in the sectional finals on Friday February 22nd at 8:30 p.m.
Twelfth seeded Minford will face fifth seeded Ironton in their opening sectional game on Monday February 18th at Jackson High School at 8:30 p.m.
Fourteen seed Northwest will face off against Western Pike in their sectional semifinal game on Wednesday February 20th at 6:15 p.m. In Division IV, the New Boston Tigers earned a one seed and will face the winner of East and Manchester on Tuesday February 26th at 6:00 p.m. at Northwest High School. The eight seeded Tartans and ninth seeded Greyhounds will square off to see who will take on the Tigers on Wednesday the 20th at Northwest beginning at 6:15 p.m. 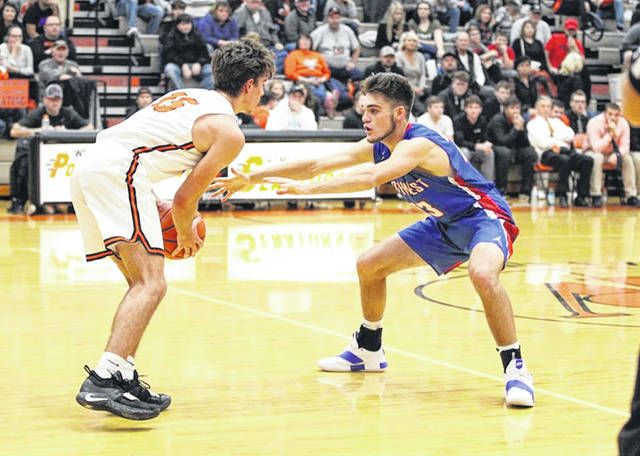 The South Webster Jeeps, a four seed in the Division IV seedings, will travel to Meigs High School on Tuesday the 26th to take on fifth seeded Eastern Meigs in a sectional final trip with a spot in the district semifinals looming a week later. Clay, a six seed in the same district, will take on three seed Peebles in their sectional final game on Wednesday February 27th at 8:30 p.m. at Northwest High School. The Green Bobcats earned a two seed in the Division IV seeding and will take on the winner of Notre Dame and Whiteoak on Wednesday the 27th in their sectional final at 6:00 p.m. at Northwest. Notre Dame and Whiteoak will square off to determine who will take on the Bobcats on Wednesday February 20th at Northwest High School at 8:00 p.m.
Stay tuned for comprehensive coverage of all 24 of Scioto County’s boys and girls basketball teams throughout the playoff season and beyond including previews of each game before they take place.